Twelve people with ties to Rochester—alumni, faculty members, and former faculty members—have been named Nobel laureates across a range of categories that includes physics, medicine or physiology, and economics. Donna Strickland ’89 (PhD) still recalls the visit she took to the Ontario Science Centre when she was a child growing up in the town of Guelph, outside Toronto. Her father pointed to a laser display. “ ‘Donna, this is the way of the future,’ ” Strickland remembers him telling her. Paul Romer, a former assistant professor of economics at Rochester and now a professor at New York University, has been named a recipient of this year’s Nobel Prize in Economic Sciences. 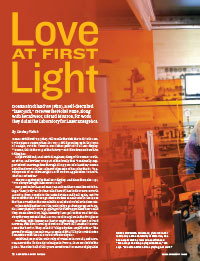 Her passion for laser science research and her commitment to being a “laser jock,” as she has called herself, has led her across North America, from Canada to the United States and back again. But it’s the work that she did as a graduate student at Rochester in the 1980s that has earned her the remarkable accolade of Nobel Prize laureate. When Strickland entered the University’s graduate program in optics, laser physicists were grappling with a thorny problem: how could they create ultrashort, high-intensity laser pulses that wouldn’t destroy the very material the laser was used to explore in the first place? Working with former Rochester engineering professor Gérard Mourou, Strickland developed and made workable a method to overcome the barrier. They called it “chirped pulse amplification.” The groundbreaking research was recognized this fall by the Nobel Prize committee with the 2018 Nobel Prize in Physics. Arthur Ashkin of Bell Laboratories for his work to develop an equally field-changing way to use light, a technique known as “optical tweezers.” The technique involves using lasers to cool atoms to a temperature where they can be studied individually. Results of the work done at Bell Laboratories were first published in 1986 and included contributions by Steven Chu ’70, who went on to win his own Nobel Prize in Physics in 1997. Strickland’s selection for the Nobel Prize was newsworthy for an additional reason: she was the first woman laureate in physics since 1963 and only the third since Marie Curie received the prize in 1903. But their solution had important practical ramifications. In the 30 years since Strickland and Mourou conducted the research, chirped pulse amplification has made it possible to use lasers effectively in a wide range of medical, scientific, and commercial applications. “Gérard Mourou and Donna Strickland invented a laser technique that transformed laser technology and continues to have lasting impacts on society,” says Wendi Heinzelman, dean of the Hajim School of Engineering & Applied Sciences. Strickland has been getting used to the limelight. And as she told the British publication the Guardian, she doesn’t like too much focus to be placed on her gender. The fact that she is only the third woman ever to receive the physics Nobel—joining Curie, who received the prize for research on radiation, and Maria Goeppert-Mayer, who won in 1963 for discoveries concerning nuclear structure—is much less interesting to her than the science that earned her the award. But many observers point out that, prior to winning the Nobel, Strickland was under-recognized, given the significance of her contribution. “I hope and believe the awarding of the Nobel Prize in Physics this year begins a trend where more women are recognized for their seminal contributions in science and engineering,” says Heinzelman. 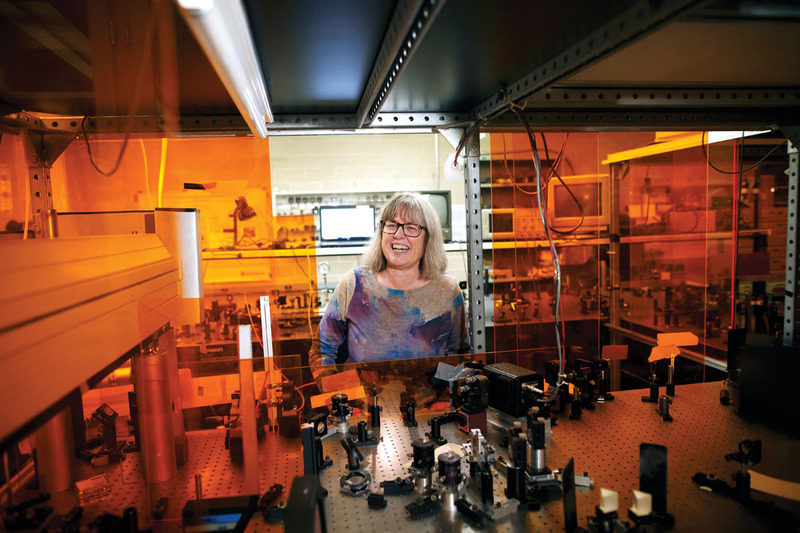 Strickland received her undergraduate degree at McMaster University in Ontario, and came to Rochester for her graduate degree because of the University’s reputation as one of the top schools globally for studying optics and light. One day on campus, a fellow graduate student mentioned the lab of Gérard Mourou. 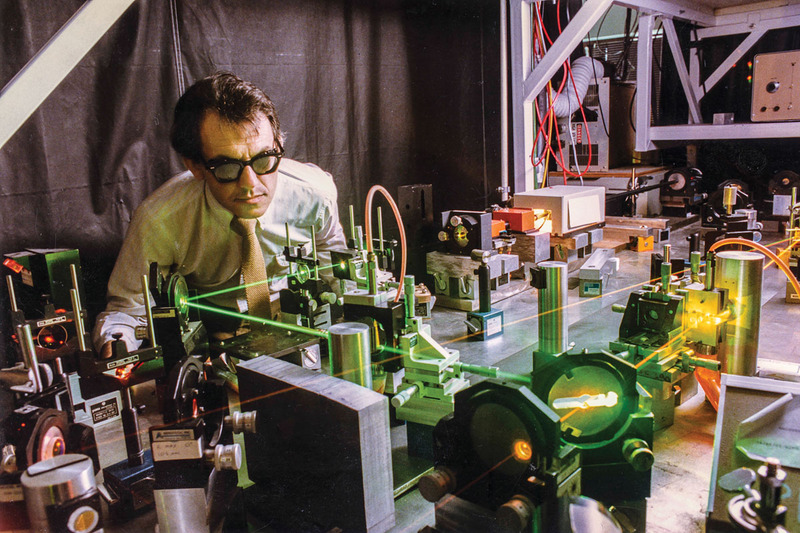 As laser science grew as a discipline in the 1980s, researchers were incrementally increasing the intensity of laser pulses, resulting in damage to the amplifying material. Mourou had come up with an idea to clear the hurdle by perfecting the technique known as chirped pulse amplification. The technique involved a three-part sequence: stretching a laser pulse thousands of times so that the power was low; amplifying the pulse to higher intensities; and then compressing the pulse in time back to its exact original duration. Mourou knew the pulse needed to be perfectly compressed, yet still retain its amplification, in order to make the technique work more effectively. “If you can do it exactly, then you can go to much higher power,” Mourou says. He had the idea to put amplification in the middle of the process—a novel concept at the time, according to Strickland. “Different people were trying to get short pulses amplified in different ways, but it was thinking outside the box to stretch first and then amplify,” she says. Chirped pulse amplification has since paved the way for the shortest and most intense laser pulses ever created, making it possible to build more compact and precise laser systems. Making the accelerators more compact, yet powerful, changed the field of laser science by allowing laser technologies to be used more broadly, especially in medical settings. Chirped pulse amplification is instrumental, for example, in laser eye surgeries such as Lasik, to quickly slice open the lens of an eye without damaging the surrounding tissue. It’s used to accelerate protons in proton therapies to treat deep-tissue tumors, like those that develop in the brain. Beyond its medical applications, chirped pulse amplification is important in more precise machining of materials such as the cover glass used in smartphones. Mourou has also developed a technique to treat radioactive waste using the technology. Scientists use ultrafast lasers to create the extreme conditions found in space, allowing them to study star formation and the inner workings of distant planets. The technique also allows physicists to take ultrafast images of split-second processes at the molecular level in order to study how atoms behave. “CPA is really a fundamental advance,” says Jonathan Zuegel, senior scientist at the LLE and director for laser development and engineering. For his part, Mourou hopes to encourage even more students in the field of ultrafast laser science to pursue their scientific interests.